Built using a new album app format, which brings together rich and engaging multimedia content on iOS devices, the Bob Dylan Bootleg Series app transforms each song into a must-have digital music companion for new and old fans alike. 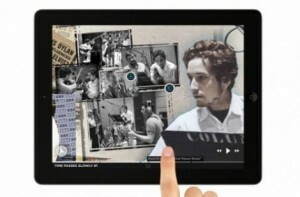 The Bob Dylan Bootleg Series app comes with one pre-loaded song and is available for free download in the iTunes Store. You can unlock all 36 tracks plus the live Isle of Wight performance inside the app by adding your copy of ‘Another Self Portrai’t to your iOS device.